As your startup continues to develop its products, consider each new feature as a possibility for patent protection. Startups that file one early patent application and stop may find that, once the patent issues, the product has moved far beyond what was in the original patent application. It is important to reevaluate patent protection on a regular basis and consider filing on new features of the invention when applicable. 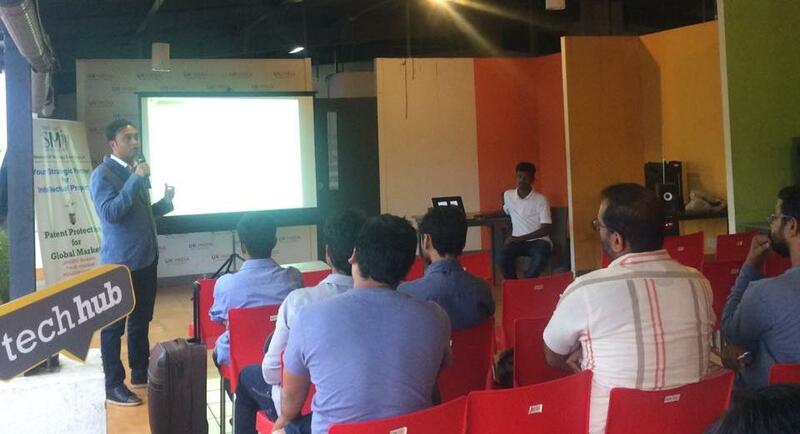 TechHub Bangalore hosted Brevetto Militarium- a workshop on Patent Strategy. The workshop initiated with the inquisitive audience talking about the general expectations carried for the evening. Mr. Arjun Bala is the Managing Partner at Metayage IP Strategy Consulting LLP, a specialist IP firm focusing on patent prosecution in the US and India, IP Strategy, and Patent Intelligence. Mr. Arjun emphasized on the IP being the X-factor for brand identity, specialized domain, creative content etc. He also emphasized on Case Study on Outsourced software development like Facebook and touch based the ideas such as Governed by contract – Confidentiality, non-compete, ‘Work for hire’, obligation to assign, Executing an assignment specifying the IP that is assigned, territory, and duration. Mr. Arjun walked us through the Prior art Body of Information relevant to the field of the invention already available to public at the date of application – includes: Patent Literature, Published documents (Journals, Books etc) and What is known or already in use. We also had Mr. Niranjan CG who is an engineering student of PSG college talk about bootstrapping his venture, balancing patenting costs with prototyping and fund raising. The session was coupled with a Q&A session along with topics such as The usage of patent in the US, How to increase your valuation. The spotlight on Patent acquisition by Friendster led to a cogitation turning into group discussions. The compelling session came to an end with some fun networking and Lip-smacking food.